I had wanted to go to Cappadocia Turkey for years. 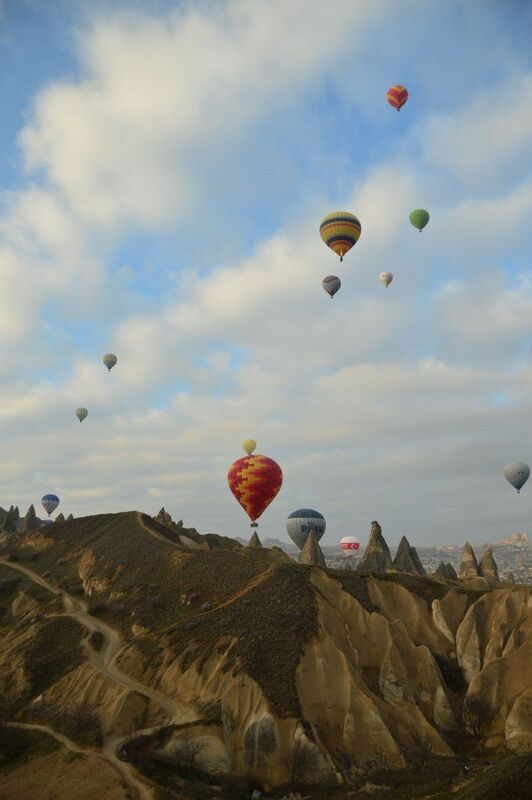 The key driver for me was the amazing photos I had seen of the Cappadocia Hot Air balloons against the fairy chimneys. I’m delighted to say the trip not only met but exceeded my expectations! 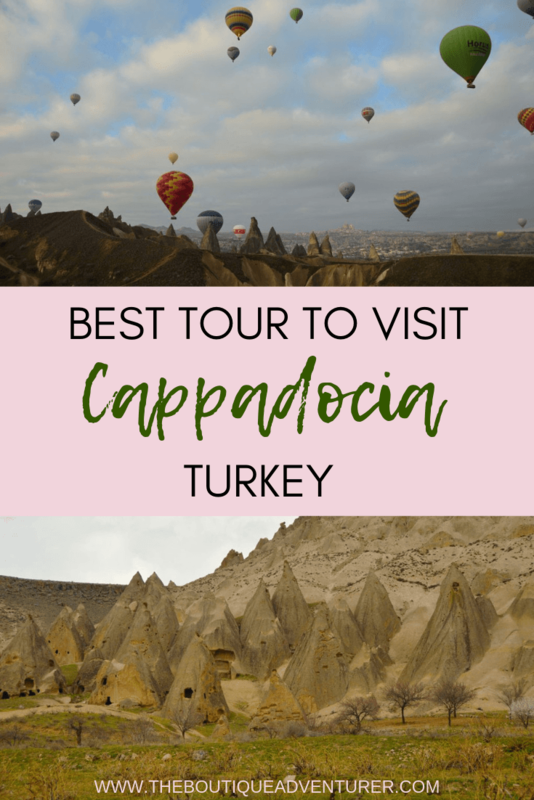 Here are the best Cappadocia Tours as well as the best things to do in Cappadocia! 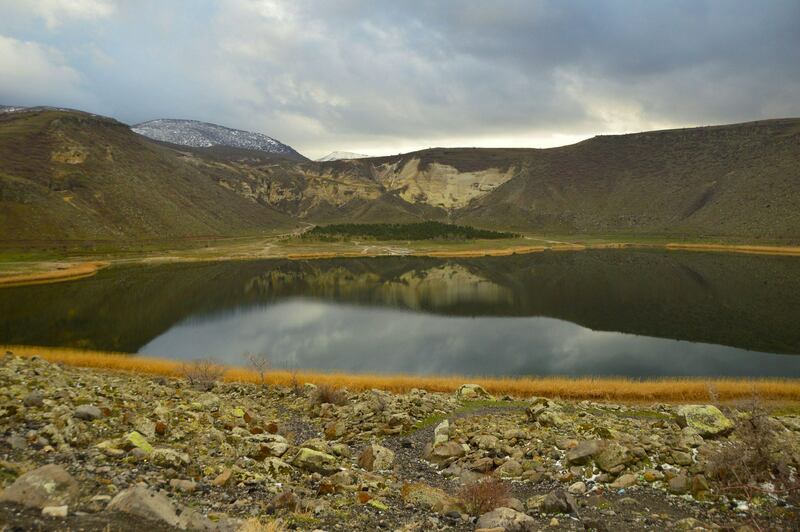 The closest airport for Cappadocia is Kayseri. Most likely you will need to fly into Istanbul and then take an internal flight which takes about 90 minutes. 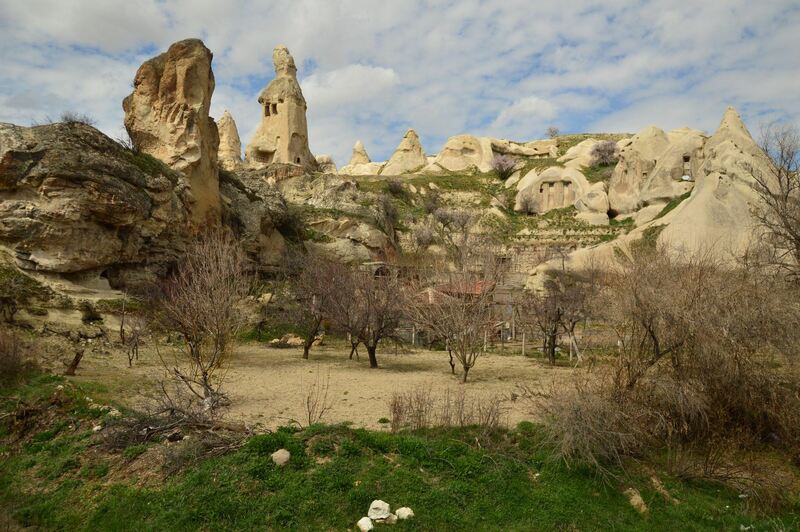 From the airport, it takes just over one hour in a car to get to Cappadocia. If you’re heading to Istanbul read my post on an Istanbul Layover. After a bit of research, I had decided to stay in Uchisar. Goreme sounded too backpackery and Urgup too small. I had also decided to stay 4 nights – arriving late afternoon day 1 and then leaving late morning day 5. This actually worked perfectly with what I wanted to do. However, if you are not so into the walks/trekking and more about the Cappadocia hot air balloon you don’t need as many nights as I had. 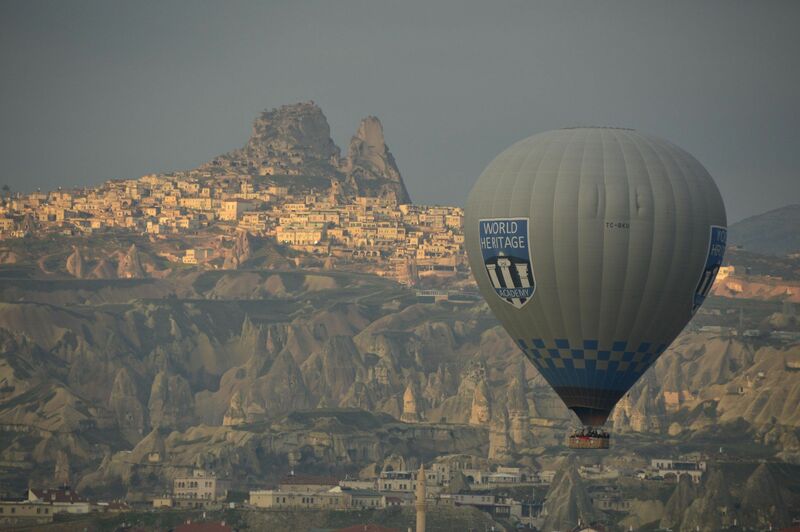 But you need to give yourself a couple of mornings at least for the Cappadocia hot air balloon. 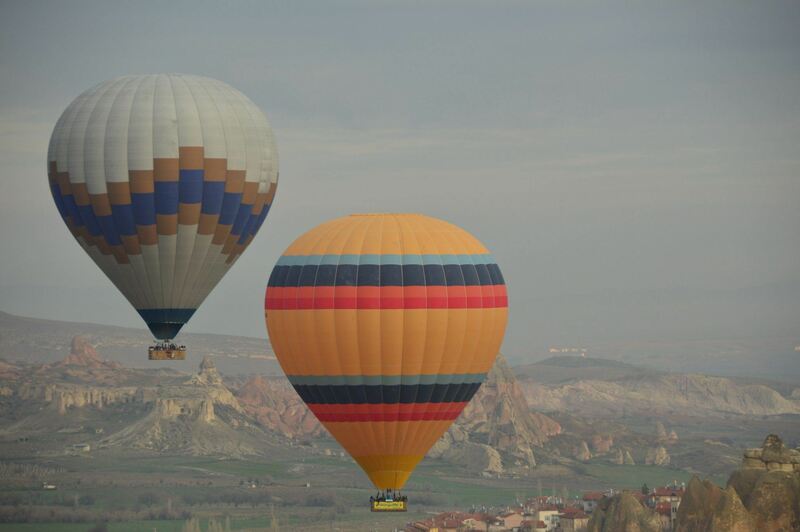 My Cappadocia hot air balloon was cancelled two mornings in a row due to weather. I would highly recommend the hot air balloon – more on that later! 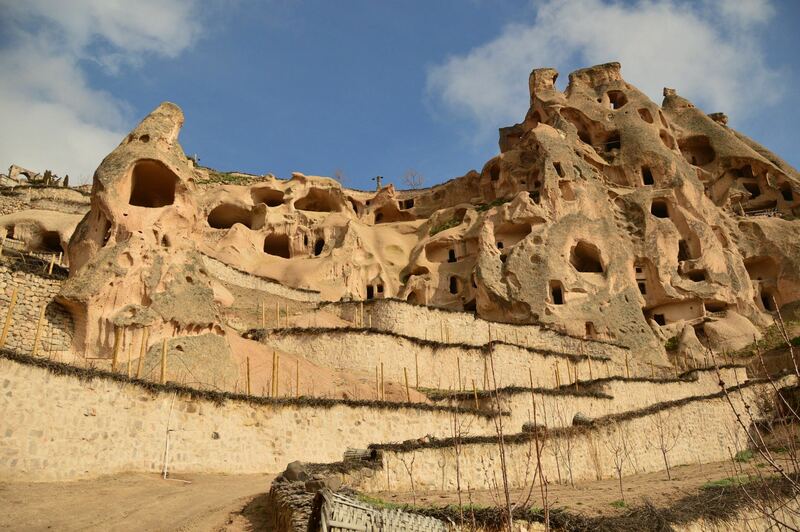 I don’t really see the point in coming to Cappadocia Turkey unless you stay in a cave hotel. It is such a unique experience. Most of them are obviously more like normal hotel rooms inside but you’re staying in a cave! 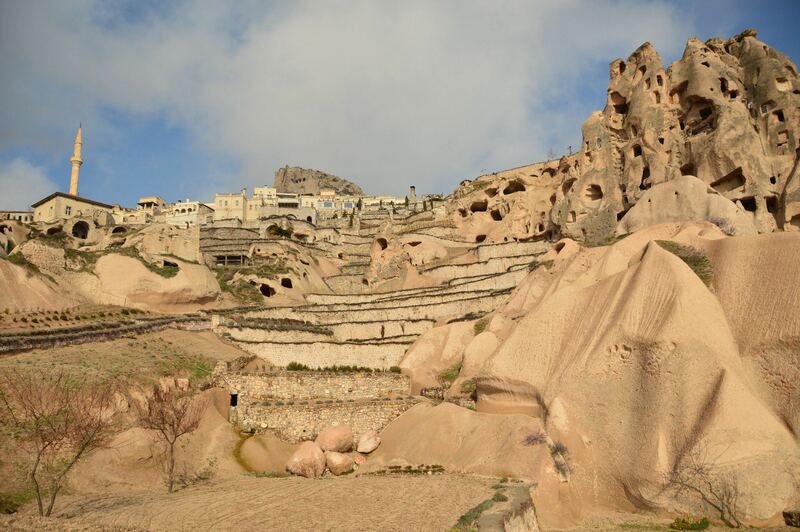 So I stayed at the Argos in Cappadocia cave hotel which I loved – such a stunning hotel. 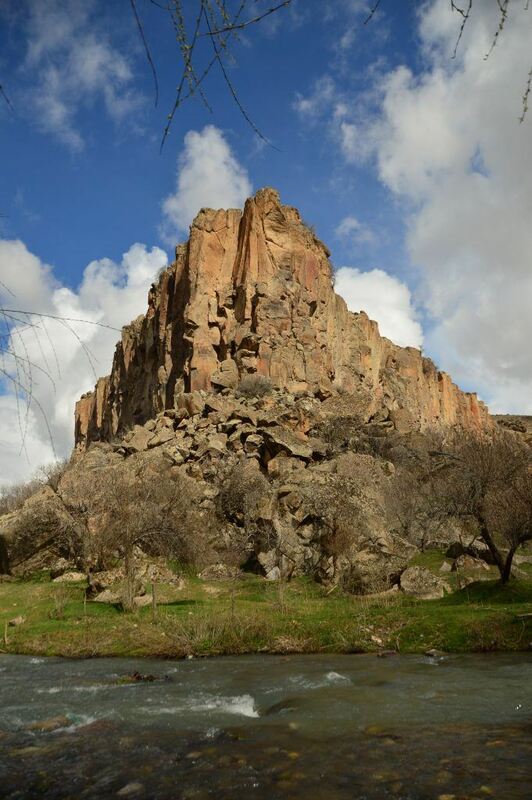 Uchisar is at the top of a hill and Argos is right near the top over several kinds of “levels”. As you can see from the photos it completely doesn’t look like a hotel – it does look like it has been carved into the earth. It is quite a big hotel but it sort of meanders around so it feels very boutiquey (not sure that’s a word but I think I’m going to make it one!). My room was lovely – beautifully styled and quite large. A big bathroom with a massive walk-in shower and lovely toiletries. The lighting in the room was particularly glowing and flattering! This is the actual hotel! I ended up eating at the hotel restaurant 3 of the 4 nights I stayed. The food was very nice at Seki but it was pretty pricey for the area. The service was fantastic. Everyone at the hotel is so friendly and any request was quickly resolved. They did put on an excellent breakfast which I would highly recommend. And it is a stunning view. Apparently, if you get up early enough you can watch all the Cappadocia hot air balloons from the terrace but the only time I did that I was in one! I did really like the Seki bar. This was a lovely rectangular shaped room with a fire that was a lovely spot to have a glass of wine and review the day. I went in mid-March and it was quite cold – I guess I never expected Turkey to be cold but you do need layers – and thus the fire!! So the castle itself is not particularly exciting. You do have to pay to enter but it’s a small amount. You wander through the cave/castle and then head up! 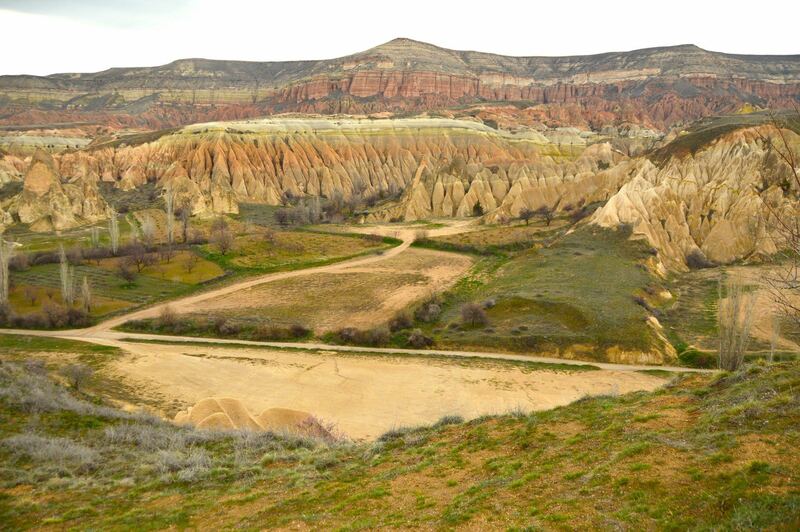 There are lovely views along the way but it’s all about the top and the 360-degree view of Cappadocia Turkey. I’m not an early morning person without duress so I can’t tell you about the sunrise but I did see the sunset and it was lovely. The castle itself is also very photogenic. I would advise taking your pics of the castle from the bottom just before the entry point and after the markets. That is where I took the shot attached to this blog. This was definitely the easiest of the walks that I did. 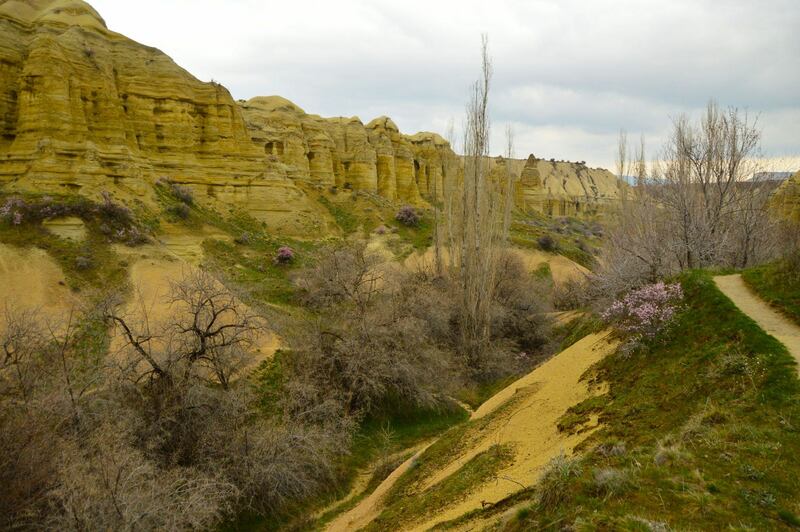 It is a lovely walk from Uchisar to Goreme. We got the hotel to direct us to the start of the walk – that’s the picture you see of the sticks with the pigeons on the top. 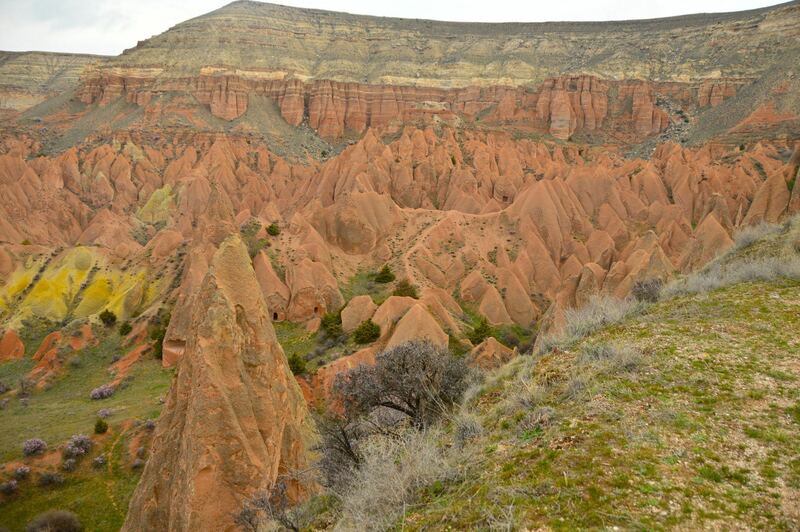 Essentially you walk down the hill that is Uchisar and as you get past the town the entry is on your left. 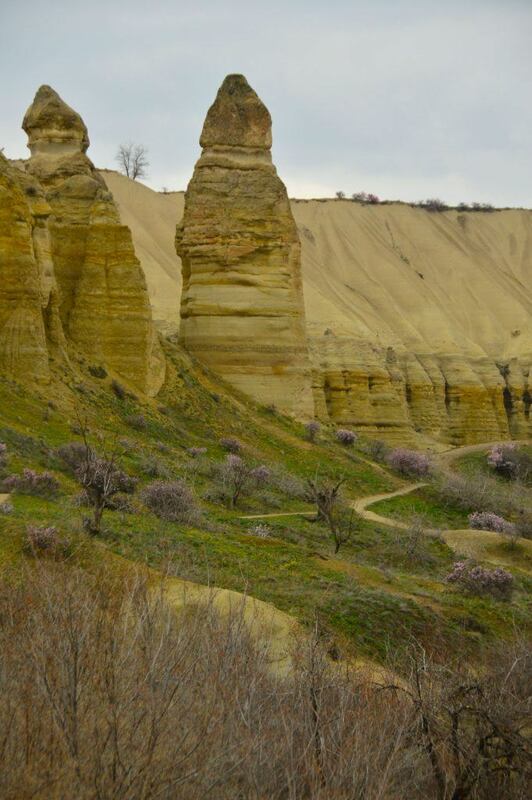 You then follow the stunning path to Goreme. We didn’t need a guide for this one. This was some of the best weather we had on the trip so these are possibly my best photos (outside of the Cappadocia hot air balloon of course) as I had the best light. 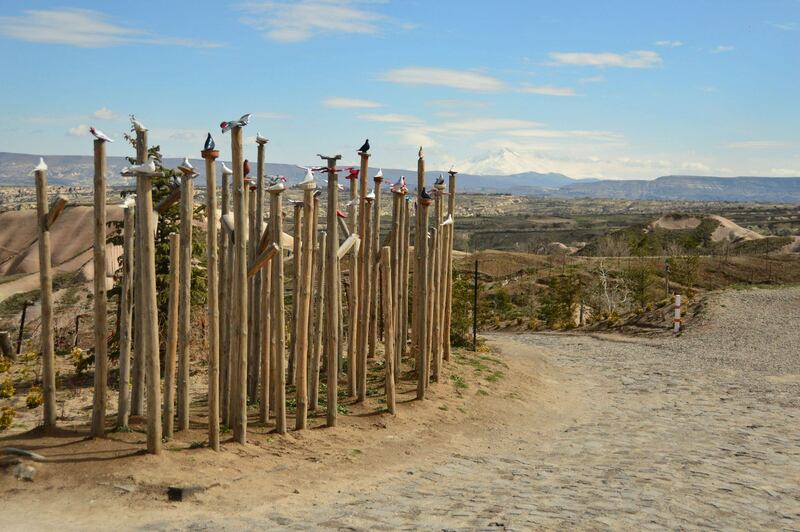 We did go to the Goreme Open Air Museum after this walk. To be honest it felt quite ho hum after the Pigeon Valley. And this was before we’d done the Rose, Love and Ilhara Valleys. Probably a good thing to do if you don’t plan on doing any full on walking as you can see the Fairy Chimneys but you really don’t need to go if you’re doing walks. 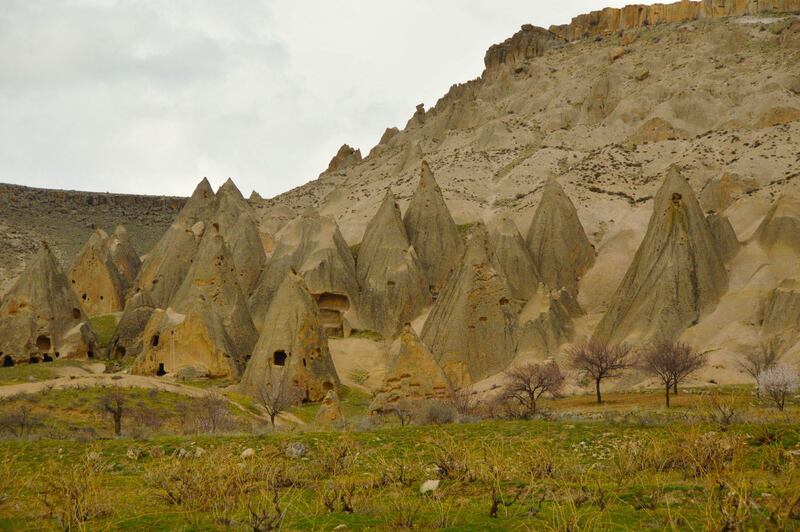 If you’d like to explore the Pigeon Valley and some of the other areas of Cappadocia but don’t want to do full on walks check out this Southern Cappadocia Tour. We did this walk with a guide which was a good choice. We started the day with a tour of some underground caves which were quite interesting. Particularly when we could see all the tricks that could be done with blocks of stone to hide entrances! Then off to Ihlara which was so lush and beautiful. It was a lovely big old walk – about 3-4 hours of solid walking. There are a few little restaurants on the river so you can plan your lunchtime stop for a lovely meal by the stream. 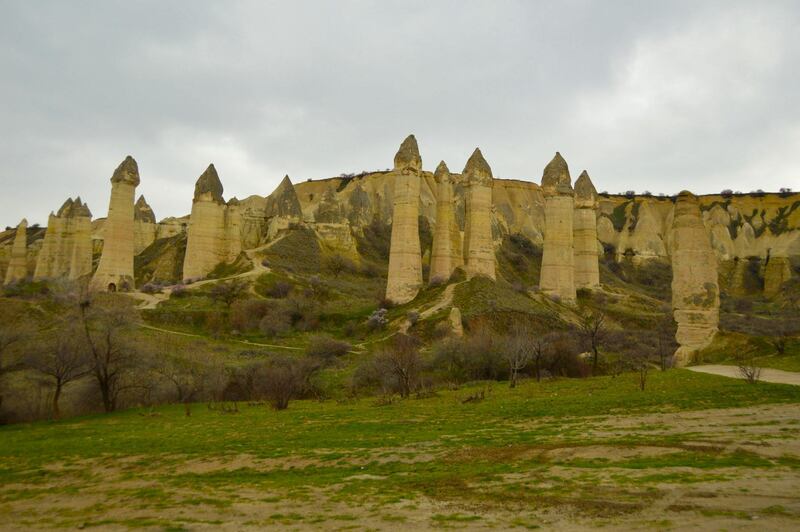 The highlight of the walk was towards the end when we got to the full fairy chimneys. There were quite a few churches with mosaics inside along the way. The guide seemed quite into these – same the next day. I got the sense that most people are into these. I personally didn’t find them that interesting. I am sure this says much more about me than the history of the churches! I think I just didn’t find them sufficiently photogenic J. Anyway we asked for more nature and views and fewer churches and they were happy to oblige. If you’re an experienced/comfortable walker you could do this walk yourself. I love a trek but get nervous about directions so I was pleased we had had a guide on this one. Up to you. If you’re planning on spending a week in Turkey check out my 7 day Turkey Holiday Itinerary. I combined this walk with the Rose Valley (see below) for one big day trip. Again I used Middle Earth and only booked them after the Ihlara Valley day. This was a relatively easy trek – not particularly steep although it was twisty terrain. The highlight of this walk is the rather phallic section at the end as you will see graphically in the photos! I would do this one with a guide as I think it could get confusing. 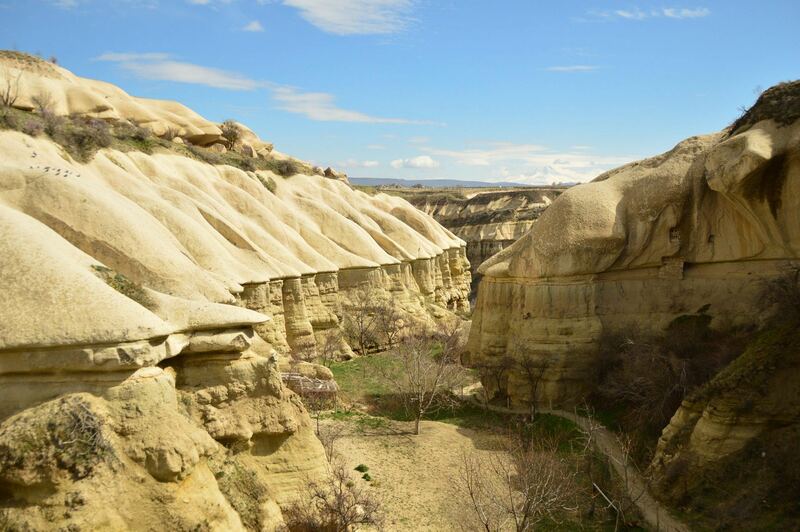 A great way to experience the beautiful valleys of Cappadocia is on a Horse Back Riding Tour. This was the afternoon of the Love Valley Walk and was definitely the most strenuous of all the walks I did in Cappadocia. There was A LOT of up hill. Up and then down. And then up again. And a bit around. But the scenery was drop dead stunning. All that hill climbing up and down made for some amazing views – particularly as the sun dropped. There was also a very cute café where we stopped off for some well-earnt pomegranate juice and potato chips! I would never have been able to figure out where to go on this walk on my own so I was very glad that I had a good guide. This is one of the best things I’ve ever done. Ever. In all my 70+ countries travelling. I had a false start morning where I got up at 4am, got in the car to go to the field and then got sent back due to weather. I tried again the next morning and thank goodness the weather was good as I was leaving that day. It also meant it was a particularly good day for photos as the last two mornings had been cancelled so I think every balloon in Cappadocia was up in the air! I asked the hotel to recommend somewhere and they recommended Royal Balloon. They picked me up at the hotel and then I was driven to a big open area with a rather large restaurant that served a decent buffet breakfast. After food and coffee, we were divided into groups and headed out to our balloons. Each balloon has a pilot. Ours was incredibly experienced and I felt very safe. He was also very interactive with the group and chatty whilst being calming. I was blown away by the view and I think I took about 300 photos in the hour I was up there. It was absolutely stunning. The juxtaposition of the many colourful balloons against the fairy chimneys and surreal landscape of Cappadocia Turkey was extraordinary. I loved every minute of it! It was challenging but of course fun to try and get the best composition. You’re not moving fast but you are moving – as is every other balloon up there! The hour went by far too quickly and we safely and quickly landed. There was then champagne and chocolate covered strawberries and a certificate. Then a car back to the hotel and back for a nap! An amazingly wonderful morning and worth every penny. I do love a Hamam! Sure the cleaning is usually a bit on the rough side and I’ve had some interesting experiences when I’ve been using fake tan (well I have large Moroccan women laugh out loud at the fake tan coming off my skin! Good icebreaker) but you feel SO clean after having one. So I’d googled and checked trip advisor and came up with Elis Spa in the town of Goreme. I got the hotel to book that morning but that didn’t seem to exactly be necessary – could be because it was March and fairly quiet. Shoes off on entry and then into the women’s section. Into the Hamam to lie on the mobile and sweat for a bit. Then a very thorough scrubbing and massage where I did feel a bit thrown around but not necessarily in a bad way! Then a relax with a dip and some tea. All very good value as well. This was a great thing to do after doing all the walks I’ve described above. It wasn’t my usual standard of boutique to be completely honest but that wasn’t really an option in Cappadocia. So although this was a spa type treatment I would rank it more as an adventure rather than being boutique! 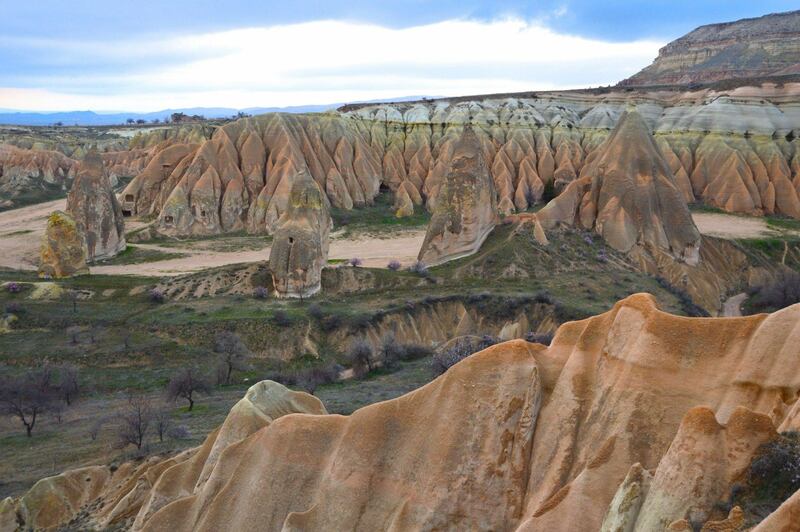 Cappadocia Turkey is an amazing place – it is a bit of an effort to get there due to only being able to fly there from Istanbul but it is worth it. The Cappadocia hot air balloon is such an amazing once in a lifetime experience. This is not just because it is a hot air balloon but also because of the amazing landscape and the number of other hot air balloons in the air. I highly recommend it! Another fantastic thing to do in Turkey is to take a Gallipoli Tour. Read all about it here. If you click through on the links that appear on my blog posts around flights, accommodation, tours, travel insurance etc. I get a small commission if you end up buying on these sites. Jus wanted to make sure you knew. Previous articleTour Namibia: Don’t Miss Namibia’s most amazing thing to see! 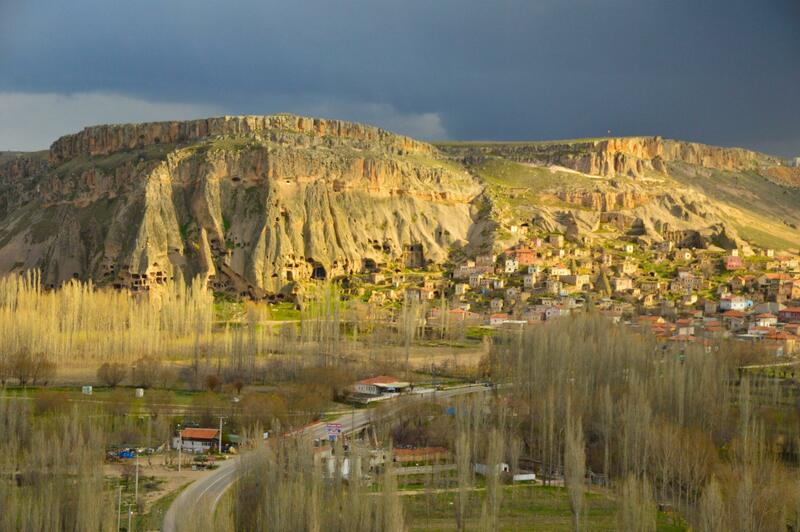 I am from Cappadocia and I loved your blog. Very nice article and beautiful pictures. Thanks for sharing. 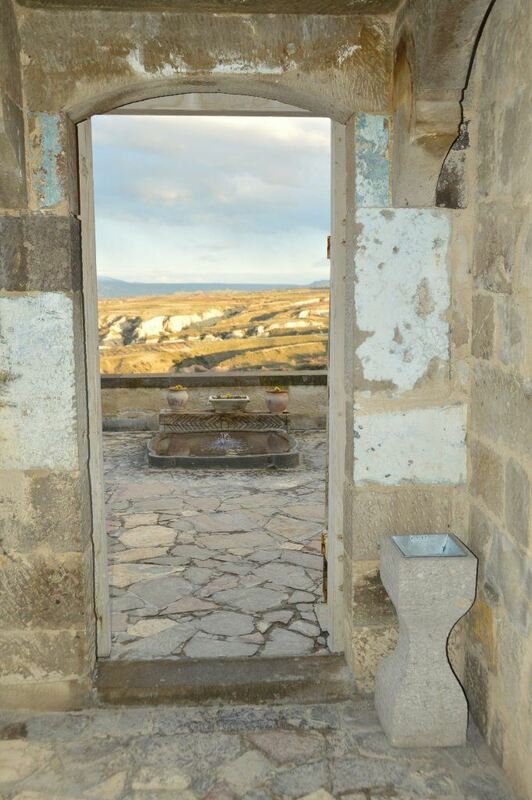 Thank you for your lovely comment – it is especially nice to hear it from someone who is from Cappadocia. I loved my visit there!